Here’s a simple, one pan dinner that doesn’t require a box! 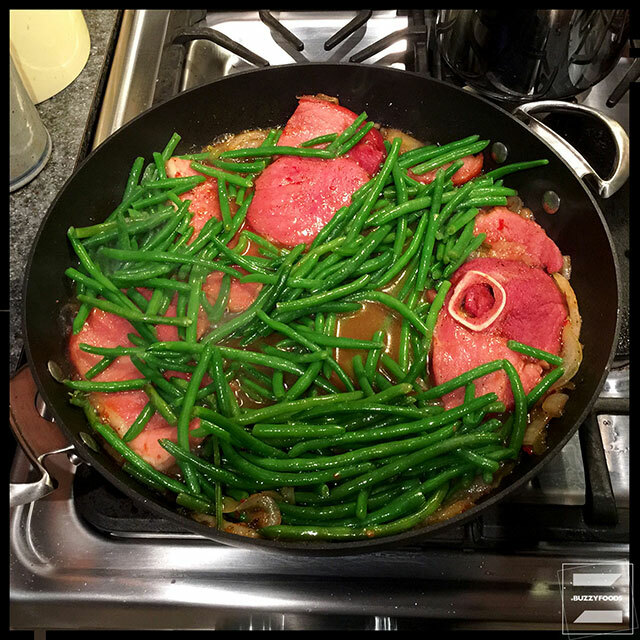 Just a ham steak, some sliced sweet onion, a bit of apple cider, and a bag of frozen haricots verts (y’know, the tiny green beans). Well… and a few other things, but nothing too, too exotic, so don’t fret. You could serve this with potatoes, or rice, or mebbe some corn bread or rolls; but we were fine with just the ham and the haricots verts and the onion. *No sherry peppers sauce? No worries! Add extra cider, or try a bit of Worcestershire sauce with orange juice. 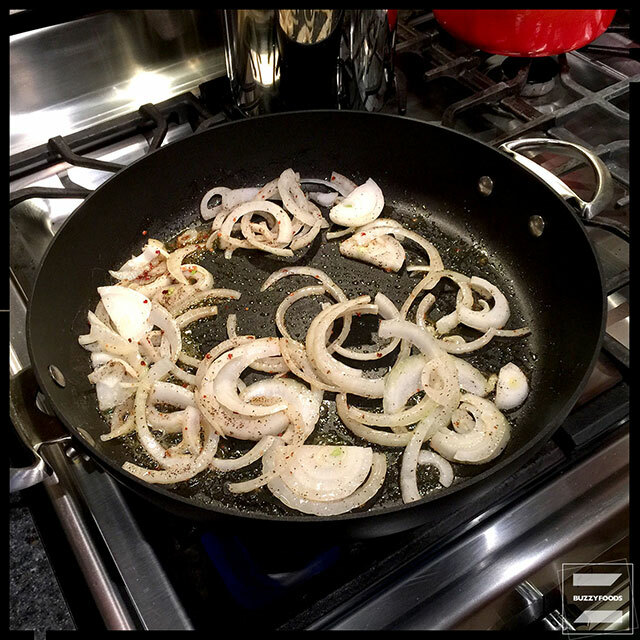 Melt butter over medium high heat, then add the onion slices, black and Aleppo pepper, and sauté for about four minutes. 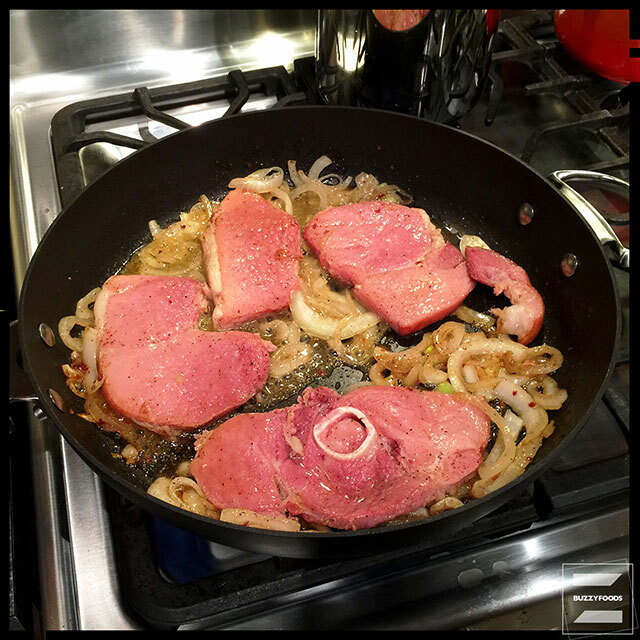 Cut the ham steak into four pieces and add to the pan with the onion. Cook for four minutes, then flip and cook for another four minutes, just until both sides are lightly browned. Stir the apple cider and sherry peppers sauce together, then pour over the ham steaks, bring to a boil, then simmer for five minutes. Flip the steaks and continue to reduce for another five minutes. Add the haricots verts, cover, and cook until they are bright green and crisp tender. 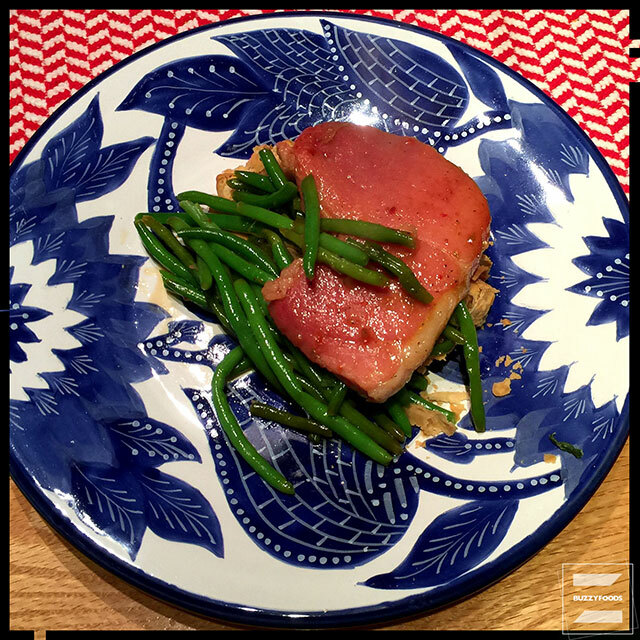 This entry was posted in Pork and tagged Apple Cider, Ham, Ham Steak, haricots verts, onion, Sherry Peppers Sauce. Bookmark the permalink.